Journey to the northernmost town of Iceland, Siglufjörður, for a unique cultural experience and great aurora viewing. 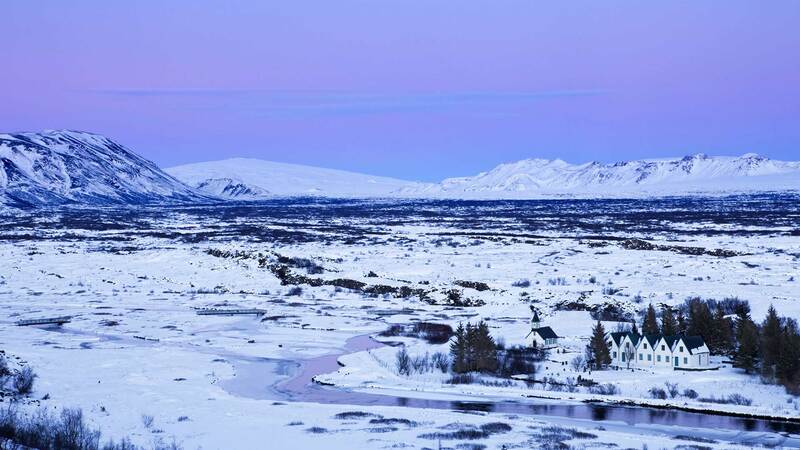 During this 7-day itinerary, you'll stay with an Icelandic family and enjoy a hike over avalanche barriers, visits to local artists, and a guided museum tour. Plus you'll go hunting the northern lights by mini-bus and boat. 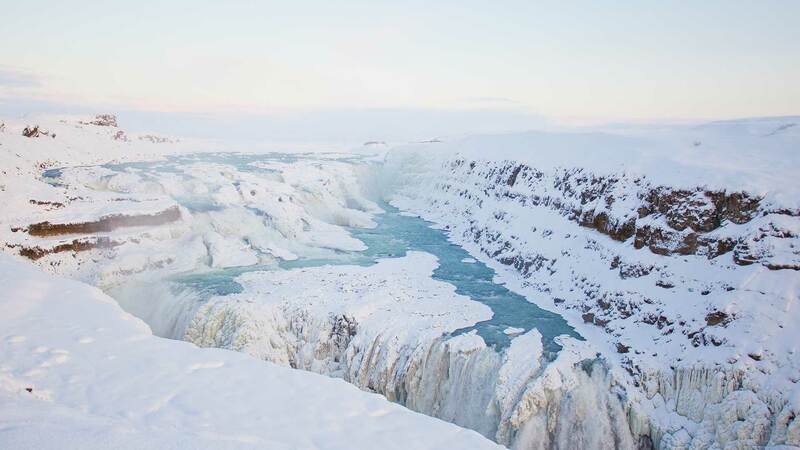 You’ll also have some free time in Reykjavík along with a guided bus tour to the waterfall, hot springs and national park of the Golden Circle route. Take it easy this morning so you have energy for all the maritime-themed activities today! Sleep in or take a walk around Siglufjörður, the town that was once the “herring capital of Iceland”. After lunch you will learn more about the town’s prime seafaring days with a guided tour of the Herring Era Museum. Although you might be hungry for seafood (especially herring), you will instead feast on traditional Icelandic lamb this evening with dinner at the home of local hosts. Afterwards, you will be driven to the nearby town of Dalvík for a boat tour out on Eyjafjörður Bay, a wonderful place to look for northern lights dancing over the fjord. Spend the night at Herring House in Siglufjörður. Today is an action-packed winter day, starting with a guided hiking tour along the snow avalanche barriers above the town. Along with learning more about avalanche prevention, this moderate hike offers you amazing views over the deep fjord of Siglufjörður. Afterwards, an easier guided walk offers you a different type of visual experience, with visits to local artist studios and galleries in town. Tonight is one more chance for the northern lights to shine for you up north, before returning to the capital city tomorrow. After dinner at your local hosts, your guide will take you out in the countryside away from the town lights for the best opportunities to spot the aurora borealis. After breakfast at the Herring House you will be transferred to Akureyri for your flight back to Akureyri. 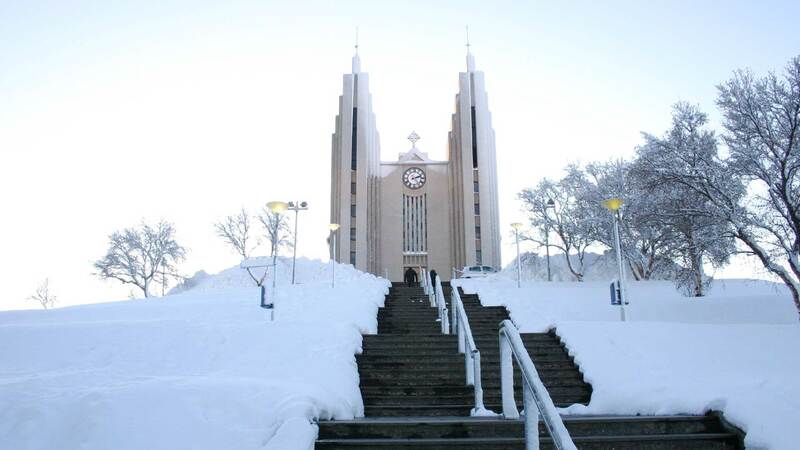 The rest of the afternoon and evening is open for your own sightseeing or optional activities in Reykjavík. 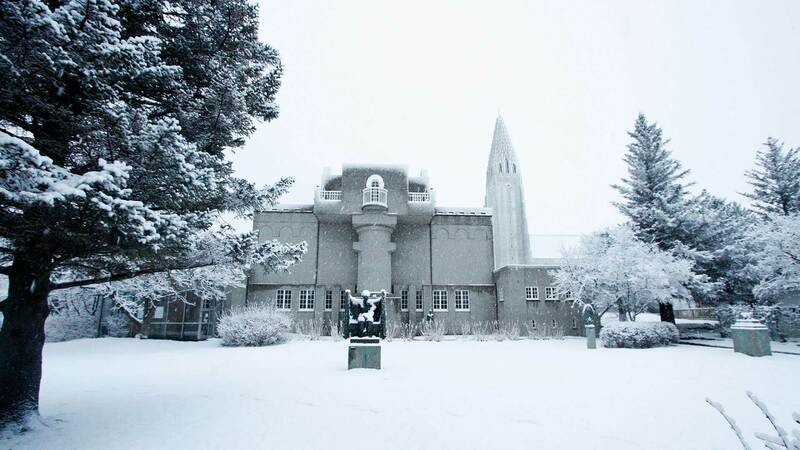 Depending on the weather, this might be a great day to take in some Icelandic culture or history at one of the city’s museums or small galleries. Or perhaps a bit of shopping for local handcrafts and design in the streets around Laugavegur and Skólavörðustígur. On a nice day, you might also want to explore the area along the seafront, around Harpa concert hall and the old harbour, or expand your views of the city with a sightseeing tour by boat or aircraft. 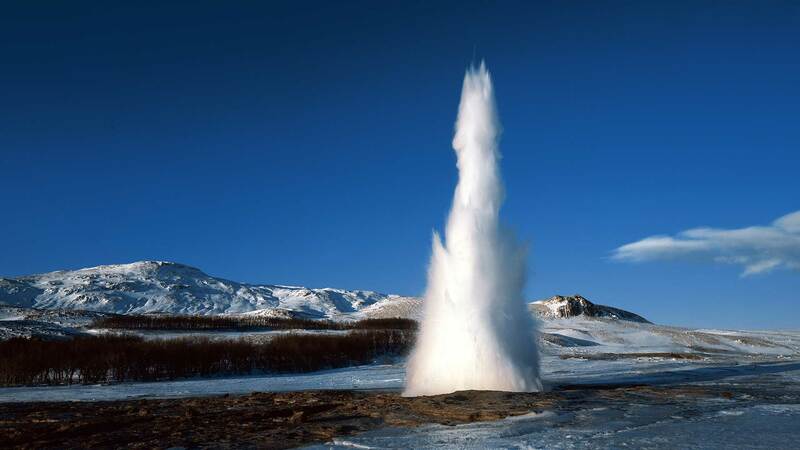 Revitalize your mind and body the Icelandic way, with geothermal bathing! 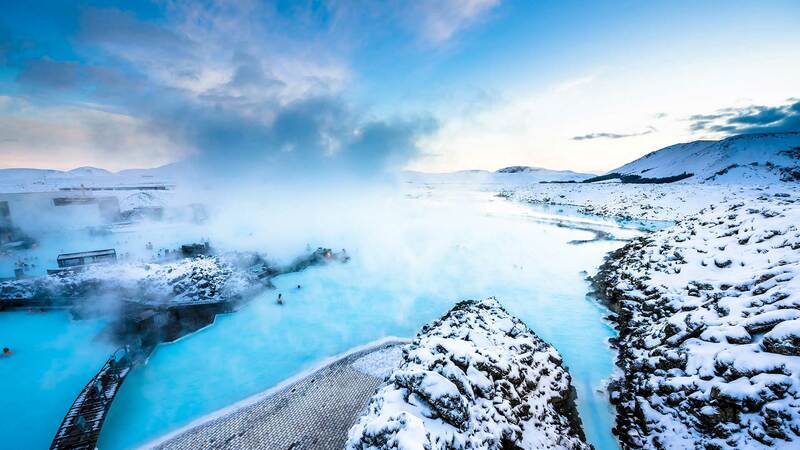 You‘ve seen the amazing images of the Blue Lagoon, and now you‘ll finally get to experience its radiant blue waters, rich in skin-soothing minerals. After a nice soak with your complimentary silica mud mask, surrounded by steam and lava rocks, you will be relaxed and ready for check-in at Keflavik Airport. Note: If your flight is in the morning, we will modify your travel itinerary accordingly. Arrive at Keflavik Airport in Iceland, where you’ll be greeted by a driver and transferred to your accommodation in Reykjavík. If you need a little energy boost, a steaming cup of coffee or hot cocoa from one of the city centre’s cosy cafes should do the trick. Dinner is on your own tonight, and the downtown has many different restaurants to give you a great first impression of Icelandic cuisine. Later this evening, if the weather is good, you will be taken for your first excursion out into the darkness of the countryside in search of the northern lights! * Please note that the northern lights are a natural phenomenon, so sightings cannot be guaranteed. Today is time to head up north! From your hotel, head to Reykjavík Domestic Airport for the short flight to Akureyri. On arrival at Akureyri Airport a driver will greet you and transfer you to Siglufjörður via Tröllskagi (“Troll Peninsula”). In Siglufjörður you will meet your local hosts at the charming Herring House Guesthouse and get acquainted with the other guests over some light refreshments. After some time to relax you’ll join a guided walking tour around Siglufjörður, a nice introduction to the town and its rich heritage. 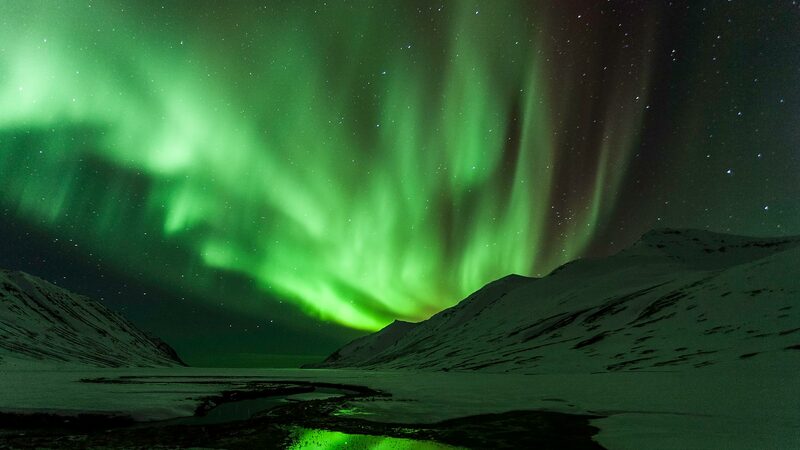 Later, enjoy some hearty soup followed by a guided outing to look for northern lights. As Siglufjörður is located right below the Arctic Circle—where aurora borealis activity is strongest, it’s an ideal place for viewing this natural phenomenon on a clear night. Spend the next three nights at Herring Guesthouse (with shared facilities) in Siglufjörður. It was an amazing experience and I enjoyed it all. The time went too fast. Have to come back to see it all in a different season. It was great to have the support of the amazing people of Nordic Visitor in the background especially as I was on my own. I travel alone throughout the world. By far this is the most seamless and professional group with whom I have ever dealt with. We recommend booking at least three weeks prior to departure. Extra nights and other package customizations can be added on request. Contact us for details. Upgrade to a room or apartment with private facilities in Siglufjörður for an additional fee. •The winter temperatures in Iceland average around 0°C (32°F), but the weather can be unpredictable so please bring warm layers and wind-proof/water-proof outdoor clothing for this tour. • Please note that the northern lights are a natural phenomenon, so sightings cannot be guaranteed. 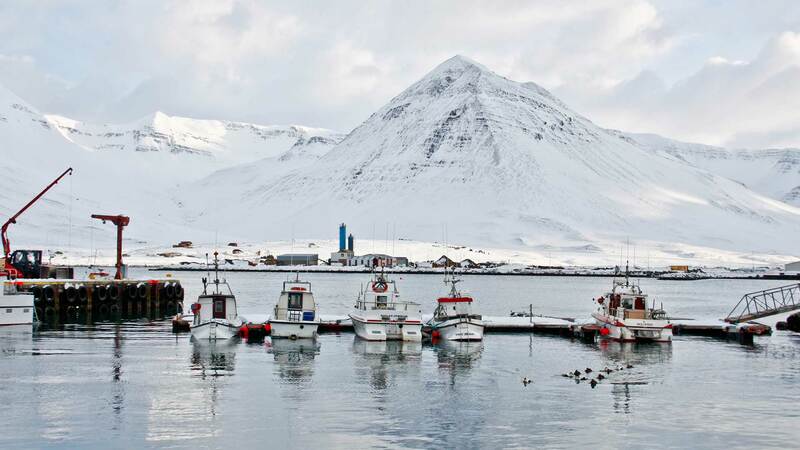 The itinerary in Siglufjörður can change without notice due to weather conditions.